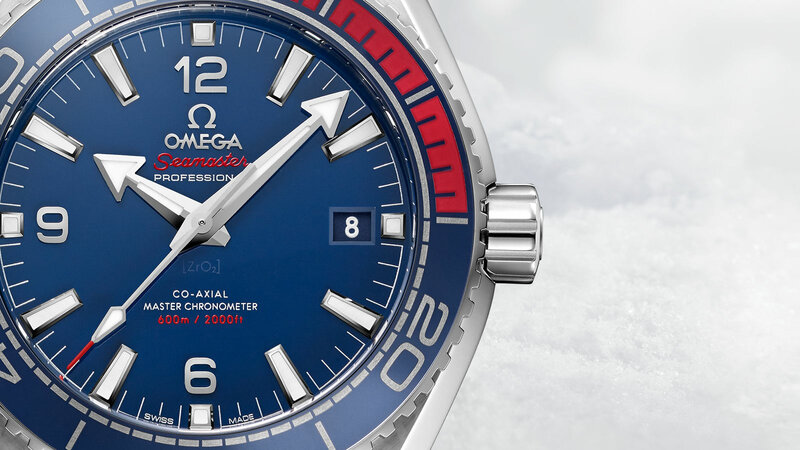 Omega is already preparing for the Olympic Winter Games next year by presenting a new special edition. 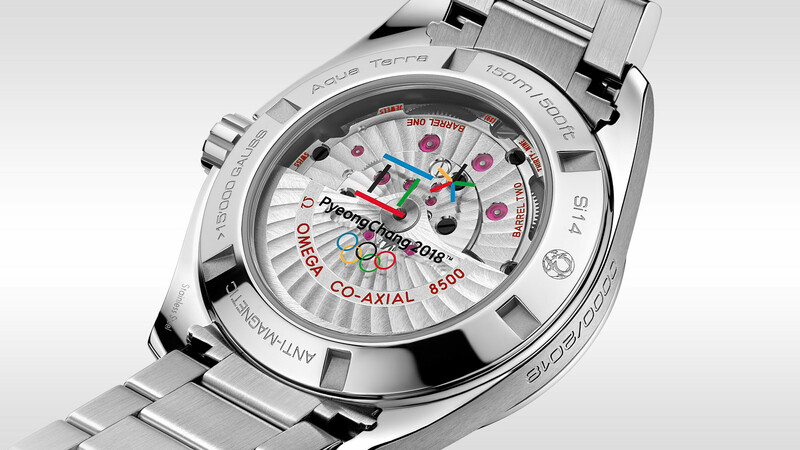 Omega launched a similar edition last year for the Rio Olympics and two years before that for Sochi 2014. The Olympic Winter Games in PyeongChang 2018 will be the 28th Olympic Games with Omega fulfilling its role as Official Timekeeper. So celebrating with a collection of new watches seems absolutely appropriate. 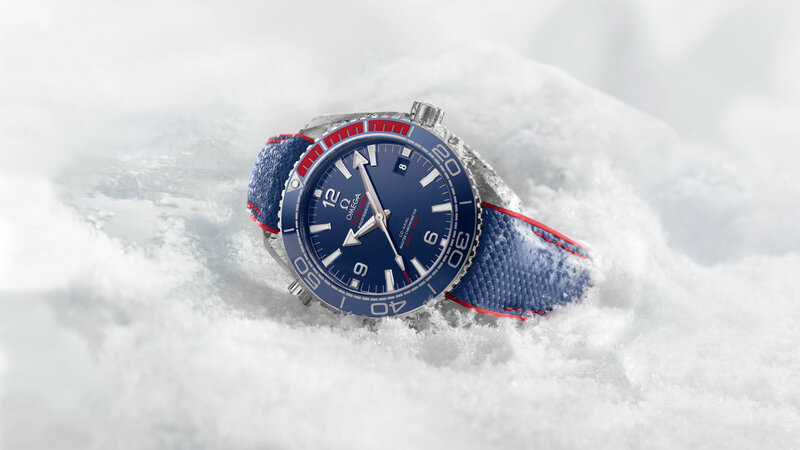 The PyeongChang 2018 collection features two timepieces: The Omega Seamaster Aqua Terra PyeongChang 2018 and the Seamaster Planet Ocean 600M PyeongChang 2018. Both watches are Limited Editions with 2.018 pieces each. 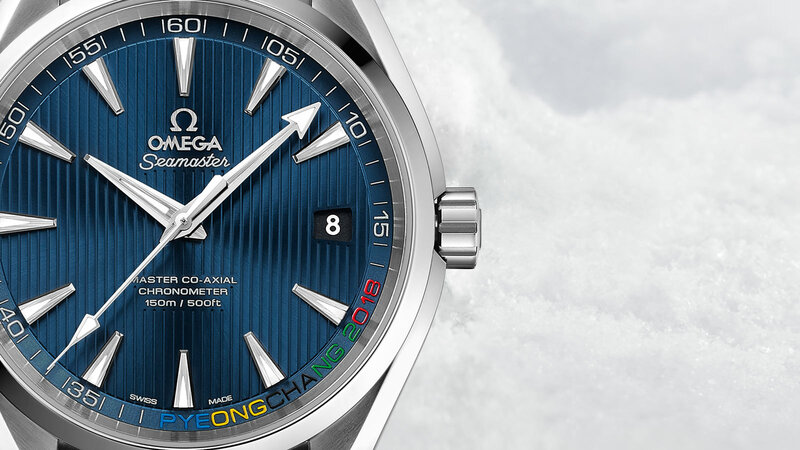 The Seamaster Aqua Terra PyeongChang 2018 features the classic Aqua Terra look which is visible in the teak dial and sleek case design. The words PYEONGCHANG 2018 have been inscribed on the minute rack of the stunning blue dial, creating a beautiful highlight in colour. And the numbers 18 and 20 are perfectly aligned with the time indication. The stainless steel case has a diameter of 41.5 mm. The case of the Seamaster Planet Ocean 600M PyeongChang 2018 is also made of stainless steel and with 43.5 mm in diameter slightly larger than the Aqua Terra. The diver’s watch captures the colours of the South Korean flag with a polished blue ceramic dial and unidirectional bezel, blended with red rubber for the first 15 minutes. This theme is continued through the blue and red rubber strap. Everyone who likes this watch but not quite that much colour on the wrist might be glad to hear that Omega delivers an additional stainless steel bracelet. On both models, the “Olympic Winter Games PyeongChang 2018” logo is included on a sapphire crystal case back as well as the Olympic rings. The other thing, both watches have in common, is the movement. They are powered by the Master Co-Axial 8500. This self-winding master chronometer is resistant to magnetic fields greater than 15,000 gauss and provides a power reserve of 60 hours. Omega is the only manufacturer which offers watches with METAS-certified movements. This entry was posted in Automatic Wristwatches and tagged automatic movement, co-axial, diver's watch, limited edition, Men's Watch, omega, Special Edition, stainless steel, wristwatch by admin. Bookmark the permalink.